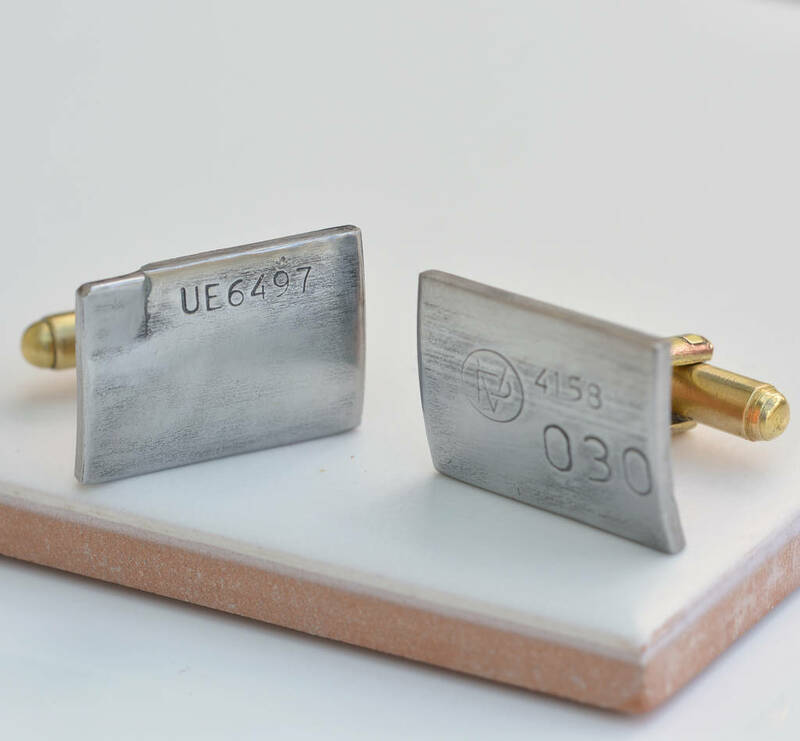 Bentley and Rolls Royce have always been associated with style and luxury and these upcycled cufflinks live up to this heritage. 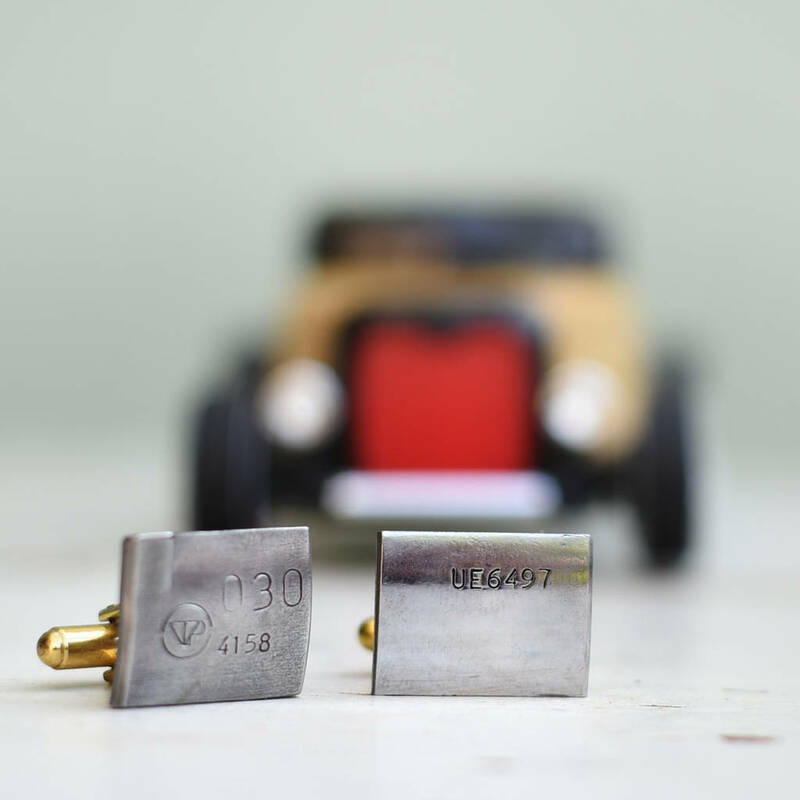 The cufflinks come with a certifcate of authenticity and are presented in a black cufflink box, making them a great gift for any car loving man. They have been sourced from unused old stock and feature the P.V. stamp which Rolls Royce used on their parts at the time. After cutting down the housing they are then soldered onto a brass T-bar. The metal is then given a coating of renaissance wax to protect them. 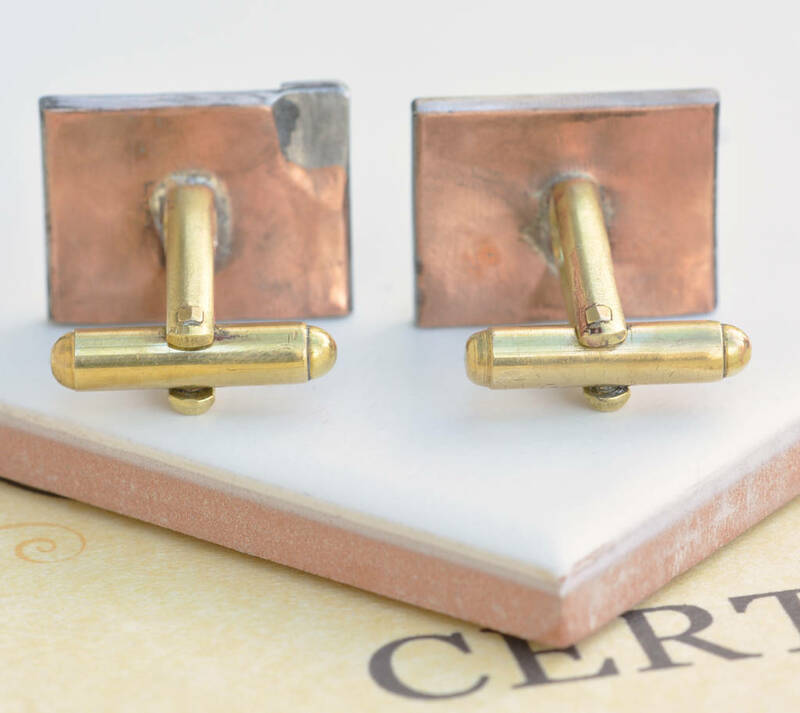 An ideal gift for birthdays, Father's Day or anniversaries for that special man. 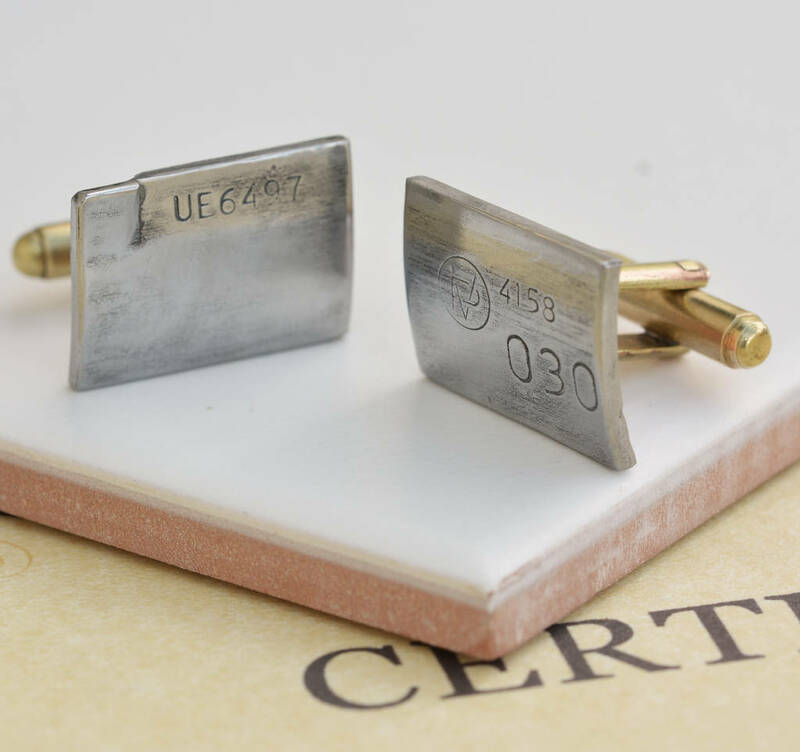 Please note that the cufflinks have limited supply, so once they are gone, they are gone.